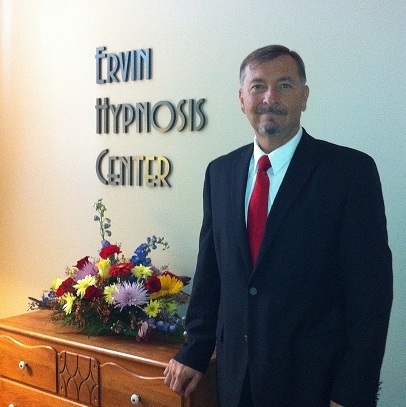 Tennessee Hypnotist Richard Ervin hosts a free lecture and demonstration in honor of World Hypnotism Day on January 4, 2013 at the Ervin Hypnosis Center, 2865 Summer Oaks, Suite 100, Bartlett, TN. Dec. 30, 2012 - PRLog -- (Memphis, TN) Certified Hypnotist, Richard Ervin holds an open house and free lecture in honor of World Hypnotism Day. The event is held at the Ervin Hypnosis Center in Bartlett on Friday, January 4, 4 to 9 pm. The free lecture, Successful New Years Resolutions, begins at 7pm. World Hypnotism Day is an annual event and was created to educate the public and promote the benefits of hypnosis for self-improvement purposes. Ervin explains, “Since this is a time of the year when many people resolve to improve their health, lifestyle and quality of life, it is a perfect opportunity to look at the tools to achieve these goals – and hypnosis is one of those tools.” In his presentation, he will provide a brief history of hypnosis, explain how hypnosis can help with New Year’s resolutions and give a hypnosis demonstration. The audience will be able to decide whether it will be a group demonstration or an individual one. Even though the event is free, please let us know you are coming so we know how many to expect. Richard Ervin is a hypnotist and self-help educator with an office in Bartlett, TN, where he specializes in helping people overcome stuck states of thought, feeling and behavior. He is available for consultations and interviews and can be reached at (901) 826-4389. Further information is also available at his website http://www.ErvinHypnosisCenter.com. Tennessee Hypnotist Richard Ervin "helps people who want to help themselves" in overcoming their fears and frustrations. In addition to private and group sessions, he is a self-help educator and is available for consultations and media interviews. Check out our video at http://youtu.be/lx5WM6GBZk8.